Cetaphil is a pharmaceutical company which has been available in Australia for over 30 years and their products which are all dermatologist recommended and are suitable for skin with specific concerns. If your main skin concerns are eczema-prone, dry, itchy, sensitive and irritated skin, then the Cetaphil Restoraderm range would be for you. There are two products in the Restoraderm range and they are the Skin Restoring Body Wash (A$19.99/295ml) and Moisturiser (A$25.99/295ml). Both of these products are incredibly gentle to the skin that they are also suitable for babies and young children. 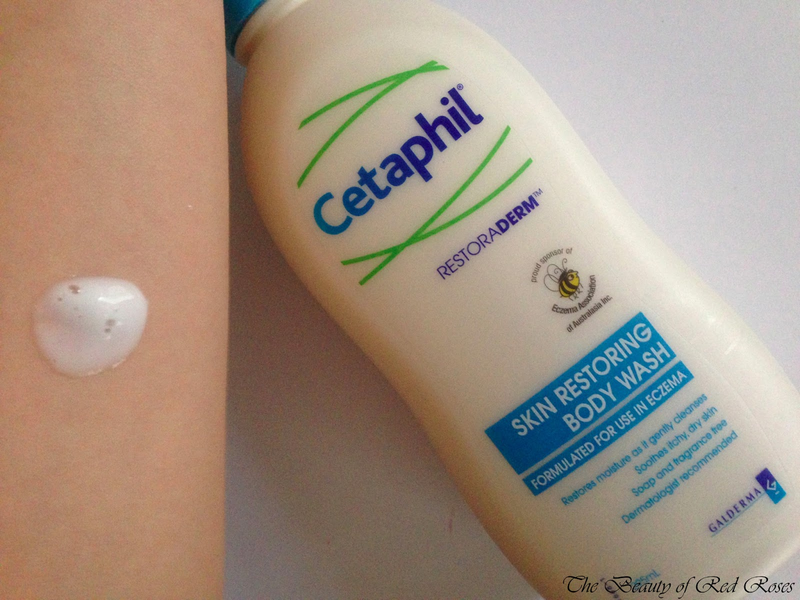 Cetaphil Restoraderm Skin Restoring Body Wash is soap-free, hypoallergenic and fragrance-free that it's no wonder why this creamy, gentle and non-drying formula feels so luxurious against my skin! This body wash feels somewhat like a moisturiser, however, it gently cleanses and hydrates my skin without stripping the skin's natural essential oils. After showering, my skin feels moisturised thanks to the ingredient Shea Butter formulated within this body wash, so I don't actually have the urgency to slather on moisturiser afterwards. However, to ensure my skin stays moisturised and protected in the long run, applying body moisturiser is a must for me. 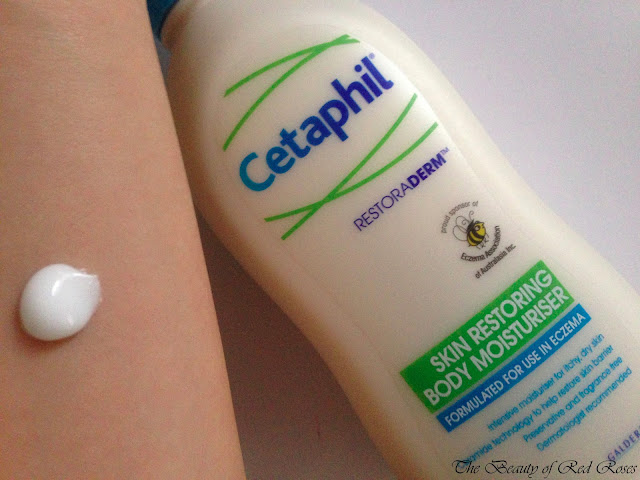 Cetaphil Restoraderm Skin Restoring Body Moisturiser is a long lasting moisturiser that is hypoallergenic, preservative and fragrance-free. The formula contains Ceramide technology which helps to nourish and retain skin moisture for intensive hydration. This moisturiser is lightweight, creamy and instantly hydrates my sensitive and dry skin. It does take a few seconds of massaging until it leaves a lovely matte finish and my skin absolutely loves this gentle formula. Cetaphil Restoraderm Skin Restoring Body Wash and Moisturiserare available at Priceline Pharmacy, Terry White Pharmacy, My Chemist, Chemist Warehouse and other leading pharmacies nationally. 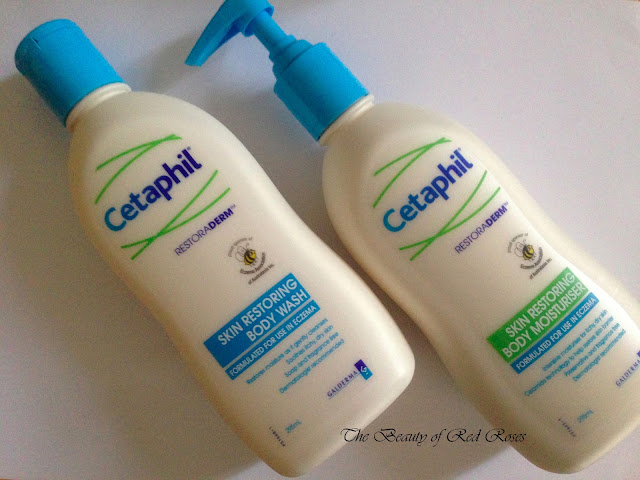 To view the entire Cetaphil range, please see their website here. Does your skin suffer from dryness/eczema? Have you tried any products from the Cetaphil range before? Products were provided for consideration only. This review is 100% based on my own thoughts and opinions. I am not affiliated with Cetaphil and did not receive remuneration to post this product review.